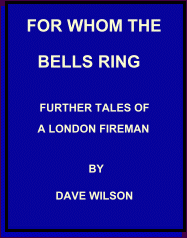 I served in the fire service for twenty seven years. All of them riding the Red Engines, and out of some of the busiest fire stations in the land. I also served for just under three years in a large county brigade, where I experienced the joys and frustrations of the retained side of brigade life. During this time I amassed a wealth of tales and stories to tell, so much so they filled three complete books, almost a thousand pages. I continue to write, and in due course my new scribbling's will appear on this site. I tell of humour and drama, but it would seem that I excel at the humorous side of writing, so that in some of my stories you will not be quite sure whether to laugh or to cry. 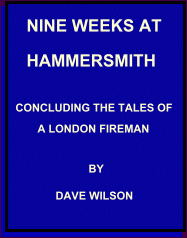 The last seventeen years of my career were spent as a rider station officer at Hammersmith fire station in west London, and many of my tales are told of this period. 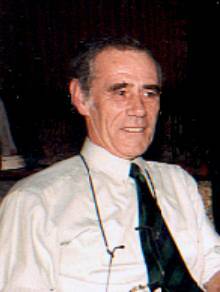 The author in his dotage aged at around sixty years of age. 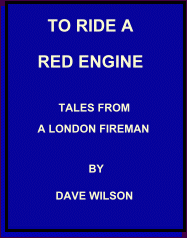 A collection of the works of Dave Wilson, author of three autobiographical/anecdotal books on his 27 years in the fire service, are all available for free download from this website. Just click on one of the books below for the rear cover review or download the full book for offline reading. If you would like to obtain hard copies of Daves books. these can be obtained from Jeremy Mills publishers priced at £9.99. Their website below. The books are also available from Amazon. Amazon. If you have enjoyed reading these tales, I would value your comments in my guestbook. Below are some of my hitherto unpublished stories, which will be updated from time to time.